"Mr. King’s script offers a wealth of behavioral details, notably in the conversations between Bob and Darcy, which put a deliciously perverse twist on conjugal familiarity. His words are immeasurably well served by his seasoned cast, especially Stephen Lang as a mysterious, grizzled stranger and Ms. Allen, who carries the movie with a fluid and unforced grace." Based upon Stephen’s riveting and suspenseful short-story from Full Dark, No Stars, A Good Marriage tells the story of Darcy Anderson as she learns the inconceivable truth about her husband of 25 years. 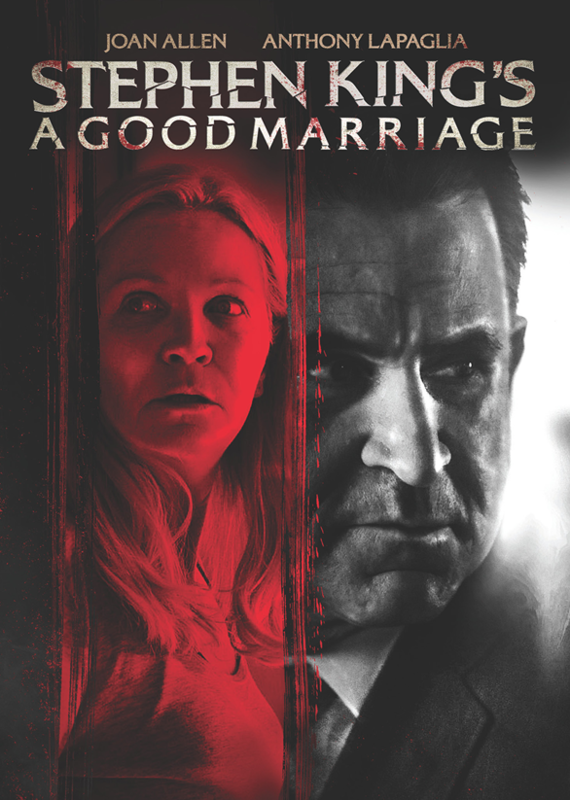 With a screenplay written by Stephen and featuring Kristen Connolly, Joan Allen, Stephen Lang and Anthony LaPaglia, A Good Marriage explores the complex dynamic of long-term relationships and their dark secrets. 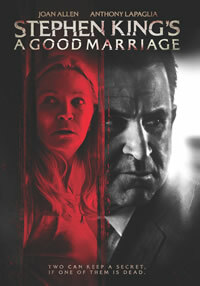 Produced by Reno Productions and released by Screen Media Films, A Good Marriage is now avaiable on DVD, VOD and as a digital download from online retailers. Simon & Schuster Audio will also be releasing an audiobook edition of A Good Marriage read by Jessica Hecht on September 30th. Please Note: The 99¢ rental price is only shown in the iTunes application.